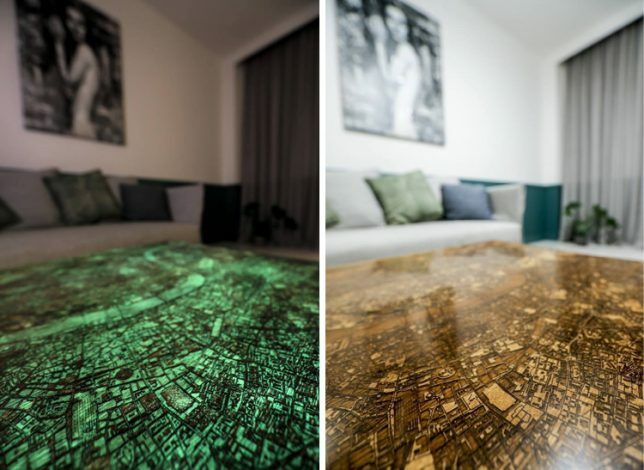 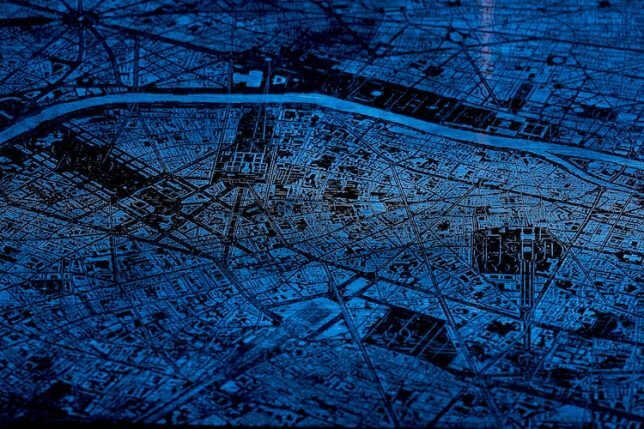 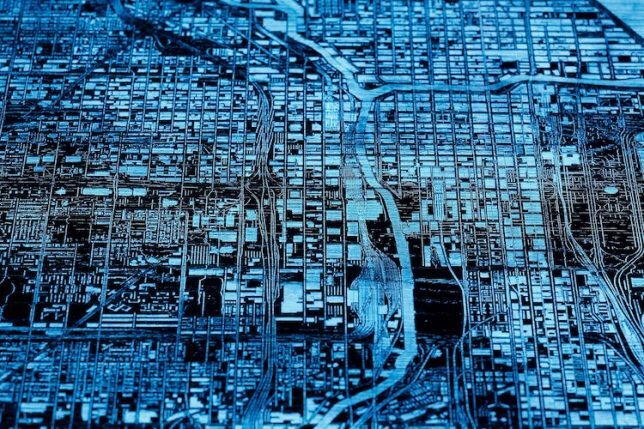 Iconic cities come to life in this custom wood table series, their resin streets and waterways glowing through grids of raised wooden architecture, all sitting on top of wrapping thin and dark steel supports. 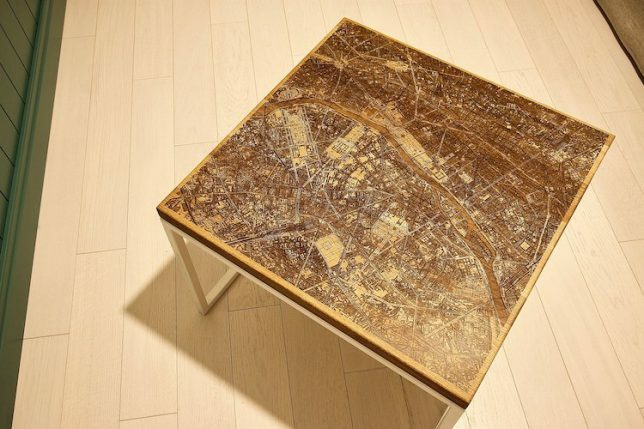 Crafted by Wood Designs in Warsaw, this array of oak surfaces includes cultural capitals like New York, Berlin, London and Paris, but buyers can select a specific city or neighborhood as well. 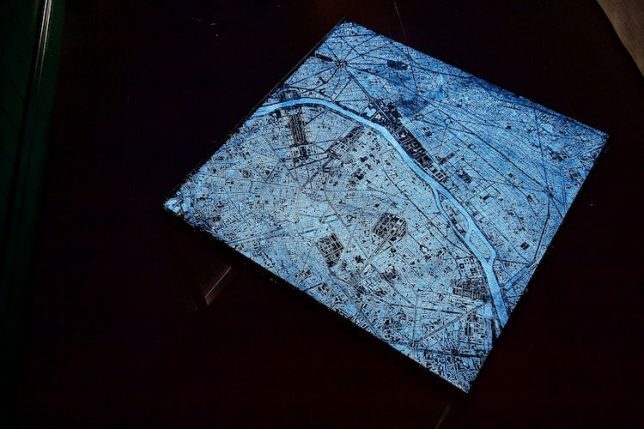 In each piece, a layer of resin on top flattens out and protects the surfaces for everyday use, while red, blue and green resins are lit up from below, an effect making the roads and rivers look like retro etchings on a giant circuit board.